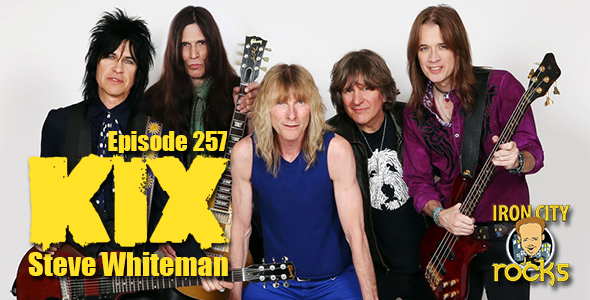 In Episode 257 of the Iron City Rocks Podcast we are once again joined by Steve Whiteman of the band KIX. Steve talks with us about their latest record, Rock Your Face Off. We talk about how they captured their classic, KIX sound on the record after 19 years, how the album was recorded and how it was received. We also talk about their plans for 2015. KIX will keep busy on the road through most of 2015 and tour dates can be found at www.kixband.com.